Barlow Cemetery, located at about 480W on county road 400N, is often called Jackson, Mud Creek or Pratt Cemetery. Originally deeded from the government to Fred Parsons in 1848, the same 160 acres of land was then transfered to Jacob Youngman early in 1853. Jacob died in 1854 (buried row 10). His surviving wife Hester Ann (buried row 10) in turn married Cornelius Barlow who had recently lost his wife Susan (buried row 11). Cornelius and Hester deeded to the trustees of the Methodist Episcopal Church the land for the cemetery, 15 rods by 8 rods, for $5.00 on 5 Dec 1863. At the same time, the 80 acres surrounding the cemetery was deeded to John E. Pratt (buried Jackson Cem. row 8). That land has since been owned by many of Pratt’s descendents and then by others with well known Liberty Township surnames. This cemetery has a few loose tombstones. Also, some tombstones have been temporarily moved to protect them from damage due to falling tree limbs. 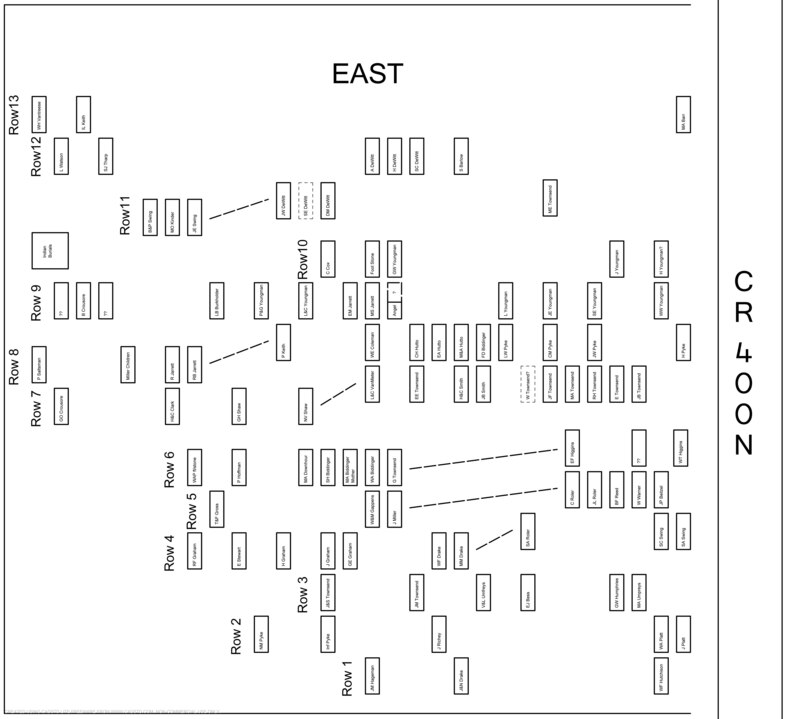 The number of stones in some rows may not always agree with that of the map. 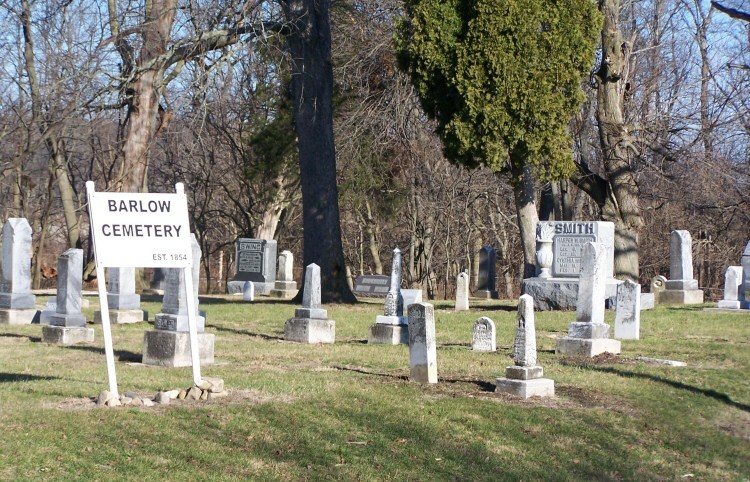 Unfortunately, no records exist today for Barlow Cemetery. May 17, 2013: Conditionally added Cornelius Barlow. Mr. Barlow is presumed to be buried in an unmarked grave near his 2nd wife, Susan, or 3rd wife, Hester. His obituary states he was buried in Jackson. However, in the past both Barlow and Jackson cemeteries have been collectively called Jackson. September 1, 2014: Holy Cow Wow, this little cemetery generates the most e-mail. So much so that poor Gae has had to put in a bit of overtime. The entire cemetery has been reviewed and some changes were made here and there. Relax, no one has moved or is missing. October 9, 2014: Today, Gae recovered a tombstone from the basement of a house in the Sharpsville community. The stone had been there since the late 70's. She identified it as belonging to Sarah Jane Tharp, a small girl, who was buried 1854 at Barlow in row 12. Still working on the position in that row. Barlow just keeps on suprising us.